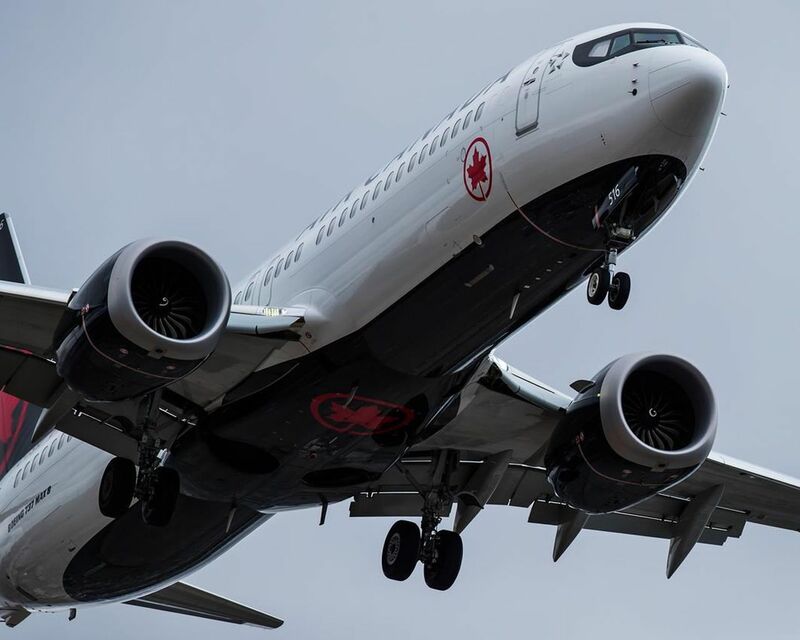 MONTREAL - Canada’s largest airline suspended its 2019 financial guidance after regulators in Canada and the United States closed their skies to the Boeing 737 Max 8 aircraft over safety concerns. Air Canada said Friday that “in light of the current uncertainty” it is freezing the sunny forecast it released last month for the 2019 financial year, though its healthy predictions for 2020 and 2021 remain in place. “We believe the company has avenues to work around the grounding, including the longer in-service use of older aircraft, possible access to third-party aircraft, the temporary use of different gauge aircraft and if necessary the temporary suspension of some routes,” he said in a research note Friday. An Air Canada spokeswoman wrote in an email it is “too soon to say” how much the software update might cost either company. This is not the first time Boeing has faced a ban. In 2013, regulators worldwide grounded its 787 Dreamliners due to safety concerns around the jetliner’s lithium-ion batteries. The company paid airlines an undisclosed amount as a result. “They do pay for delays with delivering aircraft, so I imagine that there is some sort of offset with the grounding of the fleet,” Ocampo said, regarding possible compensation for the Max 8 ban.